The paper cup love it or hate it’s part of our daily life and whilst we have adopted it as part of our culture it seems we have not embraced its environmental effect. So why is this? So who is at fault. Lets look firstly at how the paper cup is made . Its simply made in the same way as your milk carton., OJ carton or yogurt pot and many other packaging products supplied by the food industry. The very fine layer of PE on the inner layer of the board makes the pot or cup suitable to hold a food product by making it waterproof . The yogurt pot is even more advanced using not only PE but and additional film to create a food grade barrier, so giving a longer shelf life for the item packed in it. That makes it virtually impossible to recycle, but again there is no outcry over this. Making the cups using this mass produced board is cheap and simple, so why does the industry not adopt a greener approach? So we can make more environmental cups, but what is wrong with what we have currently got. Simply its in the words “To Go” which is used to describe this. It is a product that is consumed on the move, so when finished it has to be disposed of. No one is going to go back to the cafe they got the cup from and hand it back, so the disposal of this waste is ad-hoc . You pass a bin and throw it in and from there its all downhill. But lets go back to the OJ carton and the milk carton . We dutifully take it out to our recycling bin and if it is like our local council it’s collected and we are assured it goes off for recycling, so why is the paper cup not treated in the same way despite us putting it in a bin? It is not made any differently from the OJ carton or the milk carton, but for some reason a myth has grown up around this product that it cannot be recycled. Does that mean all our OJ cartons and milk cartons are heading off to the landfill as well? 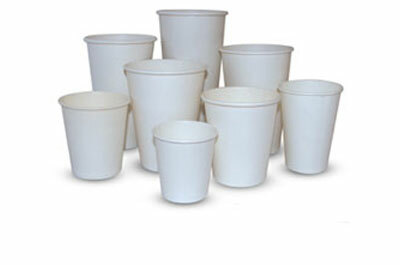 So this is just not about the paper cup, its about us and how we approach this problem. By all means lobby for a greener cup, but this will not happen overnight. We need to have the systems in place to cope with what we currently have available and it is patently obvious that these are failing. Where i live over 76% of waste is recycled, so it shows it can be done and with more education and a better recycling chain this can only improve. Maybe if we want to dispose of this type of waste then we may have to face the fact that this will have to be funded by us the consumer.